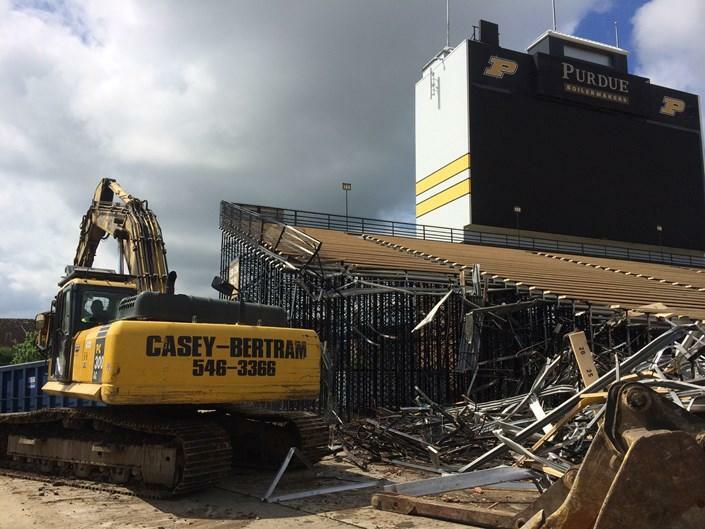 Casey-Bertram Demolition is proud to help Purdue University renovate Ross-Ade Stadium. 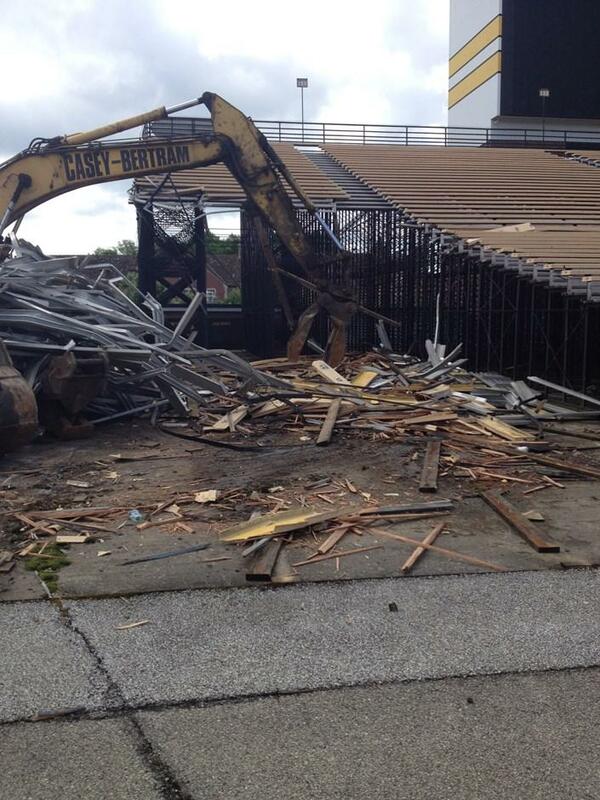 Casey-Bertram is currently removing the South End Zone bleacher section of the stadium. 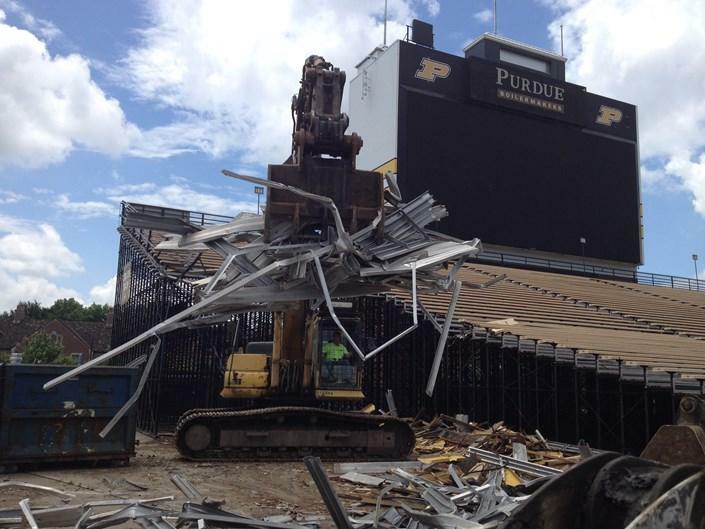 Purdue recently decided to remove the bleachers to avoid continued maintenance costs as well as in anticipation of the planned renovation coming to Ross-Ade Stadium within the next couple of years. We have been on the job site for 4 days and anticipate being onsite for 1-2 more days. The bleachers consisted of angle iron, aluminum, wood, and fiberglass. Almost all of the material will be recycled including the steel skeleton and the aluminum walkways. Check back in for the completed job pictures!